Sacramento floral pros Allan and Charmaine Nishita founded Flora Fresh in 1984, operating out of their garage. Later, Allan’s sister Millie joined the growing business. Today Floral Fresh is one of the premier wholesalers in the West serving florists, wedding and event planners and mass marketing customers, as well as other wholesale buyers. In 2012, the Nishitas launched Floral Resources Sacramento, a sister wholesaler that offers an extensive variety of floral hard goods and unique products for florists, designers, event planners and wedding specialists. Here is a preview of the latest Floralife Spotlight article highlighting Flora Fresh’s floral best practices. Quality assurance is a primary driver at Flora Fresh. To that end, their floral best practices include using Floralife postharvest products to help present their clients with fresher, longer lasting flowers. These tools include Floralife 200 Storage and Transport treatment, which hydrates and provides the proper nutrients. Flora Fresh is also the only wholesaler in California to use EthylBloc™ Technology in their coolers to protect flowers and plants from the dangers of ethylene. Sustainable practices at Flora Fresh include integrated pest management, water recycling and mulch vegetation. They also carry VERIFLORA and FLORVERDE certifications to promote a more sustainable product. Flora Fresh also offers California Certified Organic Flowers (CCOF) for its wholesale customers. They segregate these flowers from the standard product in a separate cooler. Floralife is happy to shine the Spotlight on the floral best practices of the Flora Fresh, Inc. And this is just some of the story. Check out the rest on the Floralife Spotlight page. 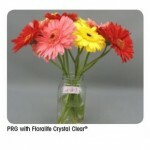 You can also visit Flora Fresh and Floral Resources Sacramento on the web.